Roller Hockey Jerseys in Stock. when you have one on. Roller hockey jerseys feature fabrics and designs specific for inline hockey. 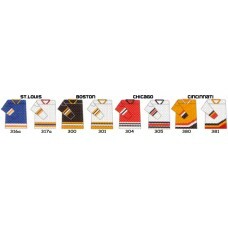 We are the leading online retailer for custom roller hockey jerseys. 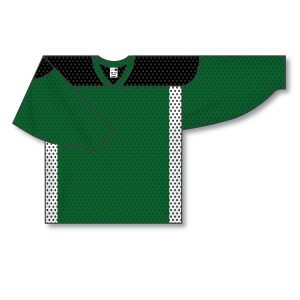 Roller hockey jerseys are available in light weight mesh and air knit fabrics. These inline roller jerseys have the same quality features as ice hockey jerseys but come in different color styles and sizing specific for inline hockey. You can design your own unique, custom team roller hockey jerseys with printing options. Our wide selection and great low team prices make us your #1 online store to buy stock roller hockey jerseys.